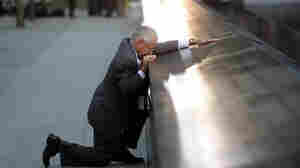 September 13, 2011  When Robert Peraza knelt to say a prayer for the son he lost on Sept. 11, 2001, photographer Justin Lane caught the moment. It's one of the most-viewed images from Sunday's 10th anniversary of the terrorist attacks. 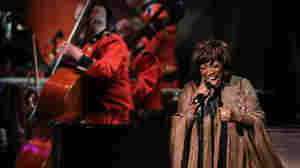 September 11, 2011  Three performances from the Sept. 11 memorial "Concert of Hope." 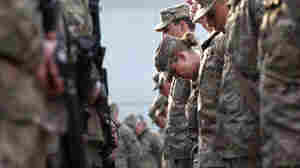 September 11, 2011  On the forefront of Sept. 11th's legacy, U.S. service members commemorated the 10th anniversary of the day in Afghanistan. 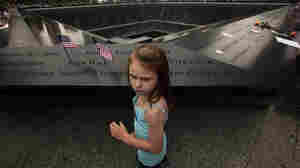 September 11, 2011  Kate Bralauer, 11, has never seen the Manhattan skyline with twin towers. But 9/11 matters to her. 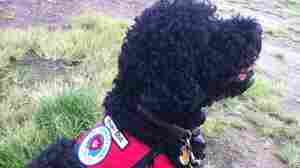 September 11, 2011  A ceremony across the river in New Jersey honored the almost 1,000 dogs who served during Sept. 11. 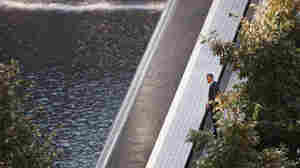 September 11, 2011  Solemn scenes from the Sept. 11 memorials in New York, Pennsylvania and at the Pentagon. September 11, 2011  Did President Lincoln write the "Bixby letter?" Was the mother he was consoling a secret Southern sympathizer? And it appears she did not lose five sons in the Civil War. 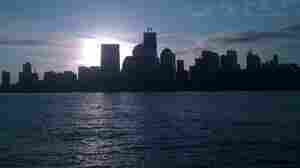 But its language remains widely admired. 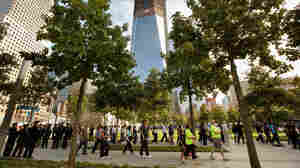 September 11, 2011  Designed as both a park and a place of remembrance, families of the victims are already using the new memorial for both purposes. September 11, 2011  As we continue to follow the ceremonies marking the 10th anniversary of the Sept. 11 attacks, here's another musical moment from the ceremony in New York. Singer-songwriter Paul Simon performed his classic "The Sound of Silence." 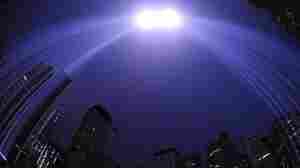 September 11, 2011  Across the Hudson River from the World Trade Center, hundreds of people gathered on the New Jersey waterfront for a ceremony to honor the residents of Jersey City who died 10 years ago today. September 11, 2011  LISTEN: He performed Sarabande from Bach's First Suite for Cello Solo. September 11, 2011  I vividly remember what a beautiful day Sept. 11 was — on a run before work, the temperature was delicious, the sky an impeccable blue. People ask what I remember from those first few days, and I think you might understand that it's mostly a blur. NPR's Neal Conan remembers the morning of Sept. 11, 2001. September 11, 2011  "These acts of mass murder were intended to frighten our nation into chaos and retreat," the president said the evening of Sept. 11, 2001. But, he added, "they have failed; our country is strong." 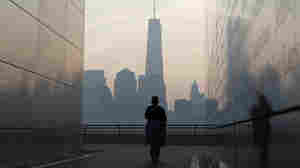 September 11, 2011  Around the nation today, the 10th anniversary of the Sept. 11 terrorist attacks was marked with prayers, solemn ceremonies, vows to remember the nearly 3,000 victims and pledges to never let terrorists fundamentally change the American way of life.